Mine are all pretty small this year! But still pretty. I’ve got pumpkin envy. My No.1 squash is gradually turning from yellow to orange but it’ll be another couple of weeks before it’s ready. I have one still on the vine that is green and just doesn’t want to turn! Pumpkin is a happy color. 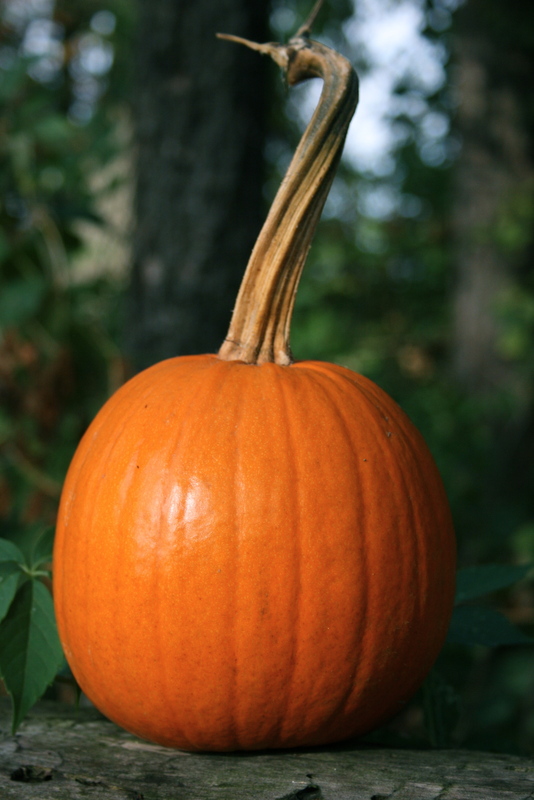 All the farm stands are selling pumpkins…I think it is going to be a good year for the growers in our area. I will have to go buy a couple large ones for carving! I don’t mind, I love to visit the pumpkin stands! This is an awesome color because it means fall is almost here! And then winter! I’m the rare Minnesotan who loves winter. Do you post a lot of great pictures over winter? I hope so! I hate the cold, but I actually LOVE Winter photography! I purchased a pumpkin last week because we aren’t expected to have any by mid month October. None for Halloween. I can’t wait to bake it and have the seeds, but for now I just enjoy looking at it. We love roasted pumpkin seeds!